Steven Kovacevich describes the Berg Piano Sonata as music ‘drawn toward the distant future but still tied to the immediate past’. When he finished the first movement of what he thought would be a larger work in 1908, his teacher and mentor Schoenberg encouraged him that if he had said all he needed to say musically, there was no need to carry on. It is a landmark piece as music begins to break with conventional tonality. While the 22-year old Berg was starting out, the 30-year old Schubert was signing off. Aware that he had not long to live, the gravely ill composer completed a trio of three massive piano sonatas, some of the biggest works ever written for the instrument and still to this day some of the most remarkable music you can hear on the piano. The second of the three in A major is a remarkable piece, contrasting passages of serenity and acceptance with sudden outbursts of temper – as in the second movement, initially slow but unable to contain itself fully. These are pieces that keep on giving in their remarkable construction and memorable melodies. 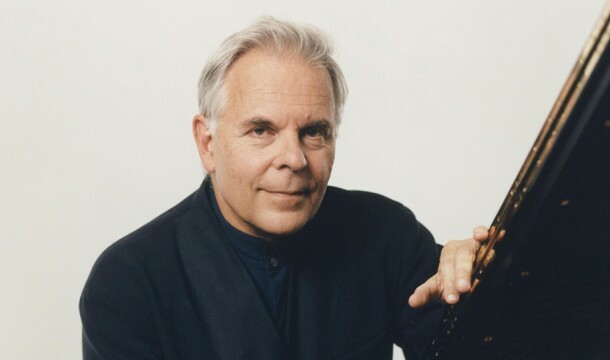 The insights Steven Kovacevich has given into piano music over the last 50 years cannot be underestimated, and the sheer weight of experience he brings with him is the result of a lifetime spent performing at the very highest level. It is this experience that shines through, especially in a reading of the Schubert sonata that is not without its problems. I would have to digress for a moment and ask if there are many 75-year olds who could play such a piece without a score, and think there are very few. Small wonder, then, that Kovacevich has what seems to be a memory lapse in the final movement, and there are a number of minor slips elsewhere. These are still very much worth persevering with because his portrayal of the unfolding drama in the Schubert is special indeed – and in the second movement in any case it is as though Schubert writes in a lot of ‘wrong’ notes. 2:00 – one of the most intriguing beginnings to a composer’s published output is surely the quizzical opening notes of the Berg sonata, which end up in its supposed ‘home key’ of B minor, but only by asking far more questions than they answer. There is an immediate impression of a new world forming, and the harmonic outlook is constantly changing in music of great density. The opening theme, however – the first three notes, at least – is distinctive enough to be felt in the development it receives afterwards. The music builds to a weighty climax at 7:51, then scales the heights at 10:42. Berg writes in a single paragraph, the music subsiding to the quiet, thoughtful finish. 14:30 – the opening of the sonata is thoroughly positive, a call to arms – though Stephen Kovacevich is slightly understated in this performance. There is a serenity and intimacy that sets the tone for much of the piece. 18:15 – Kovacevich repeats the movement so far (18:11) as instructed by Schubert. This helps balance the structure of the whole first movement. 23:53 – a return to the material that dominated the opening exchanges – and then, after a protracted and angst-ridden piece, the second theme and a peaceful close at 28:40. 28:54 – the slow movement begins. As with Beethoven, time seems to stand still in Schubert’s late sonatas, and his thoughts are almost of another world. The music here is very subdued but not by any means hopeless. 31:01 – the right hand seems to develop a mind of its own, becoming faster and faster. In response the music moves to distant and rather twisted harmonies – as Kovacevich notes, sounding a prophetic note towards the music of Liszt here. Feelings of anger and frustration come to the boil. The music collapses in something of a heap, exhausted at the end. 35:07 – the Scherzo, a piece of music that sounds like a feather being blown around by the wind. The detached delivery from Kovacevich’s right hand is subtly mischievous. 37:14 – the contrasting trio section begins, but is a short diversion from the main theme itself, which returns again in humour at 38:24. 51:16 – where after applause Kovacevich very graciously gives a re-run of the finale. Listening carefully to the full theme, there is a similarity between this and Beethoven’s ‘Ode to Joy’ theme from the Choral Symphony. It is in the main beautifully played, with a magical moment at 57:01 when we hear the theme in F sharp major, a fair way from home! At 1:01:12, however, Schubert arrives at his destination.